Think about the way you parent your children. Odds are good that you think the way you do things is the “right” way. But parenting is heavily influenced by culture, early experiences, and yes, psychological problems. An angry person who was abused as a child might see beating her child till he bleeds as normal, for instance. At Three Seas, we often work with families in crisis to encourage them to abandon unhealthy practices. If you’re willing to survey your own behaviour, though, you can stop these practices before they begin. Here are five things even good parents do that harm their kids. Don’t be fooled by your parents or grandparents’ ideas about parenting. As we learn more, we know how to parent more effectively, and if you do something simply because your parents did it, you miss out on a chance to help your children achieve even more than you have. Shaming runs the gamut from telling a child he was “bad” to shaving a child’s head or insulting his appearance. Shame teaches children not that what they have done is bad, but that they themselves are bad, and it never works. Some children may temporarily behave better because shaming is so painful and they want to avoid it. Over time, though, shaming tears down children’s psyches, producing damaged, suffering, and often destructive adults. A generation ago, we learned that time-out was a more humane approach to parenting, because it helped parents avoid spanking their children. There’s nothing wrong with giving a child a bit of time to think about her behaviour, but isolating children for long periods of time is a terrible idea. 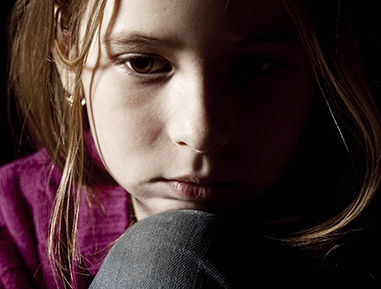 Some children are frightened by being alone by themselves, and this can be traumatic in its own right. But even the bravest children are harmed by isolation. Don’t separate your child from the family just because you did something you dislike. Fear is the opposite of respect. Children do not respect parents they fear, no matter what you might have heard. If you us fear to motivate your child to do things, you’ll quickly produce a compliant child. That child, though, will comply with anyone—not just you—and that makes him or her vulnerable to peer pressure and a host of other ills. Worse still, fear-based parenting can lead to anxiety disorders, PTSD, substance abuse, and a gradual deterioration in the relationship between a parent and her child. Avoid this harmful strategy. Children who are only expected to behave sometimes learn that they never have to behave. For instance, a child who whines and then gets what he wants will learn that whining works, and perhaps even that it’s good. It’s tough to be consistent with kids, but some parents resort to enforcing the rules only when they are angry or their child’s behaviour becomes frustrating or annoying. A rule is a rule, no matter when it is broken, so remember that if you want well-behaved children, you must be universally consistent. Avoid punishing for solely emotional or convenience reasons.